For Uttarabhadrapada births of a masculine valence, the influence of rigid, chronological, lawful, enduring strictly structural sober serious systematic elderly durokaraka Shani can considerably affect the outcome. Instructional guidance is provided by emissaries from the civilizations of Andromeda. Their purpose is multi-dimensional structural integrity and species resilience. Meena pada 1-2-3-4 represents Shani's rulership of 11-systems ++ 12- distant worlds, imaginative vision. Guru and Shani are mutually neutral, suggesting that personality distortions are uncommon with Andromeda-born. Pada 1-2-3-4 have an extraordinary capacity to carry responsibility for others. Uttara-bhadra born are often found in economic, ecological, community linkage, and networking roles which structurally engage invisible understandings, distant realms, interior visionary comprehension, and enduring patience. and also to spend it wisely and constructively. he will do so without the corollary of someone else's misfortune . and generous to those less fortunate than himself." study in the Browning School, a private academy for children of his father's associates. Yet considering that this powerhouse of activity also occupies the the revolutionary, emotionally turbulent, perpetually transformative, trauma-inducing 8th-from-Chandra , a significant transformation of identity involving an upheaval of the economic activities and their outcomes would occur during the lifetime. (4) building of schoolson a transformational model of education (University of Chicago, Rockefeller University). He developed the "quarter system" to overcome the handicap faced by students from farming families. 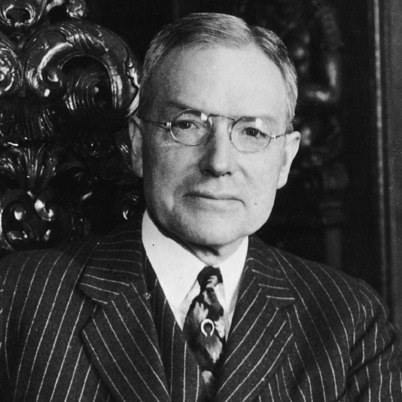 The Quarter System allowed students to stay home for the labor-intensive autumn harvest Aug-Sept.
Rockefeller was well-known and powerful in Mithuna matters such as institutional communications and program administration, Rockefeller was dynamically constructive, productive during his lifetime. He was highly regarded as a commercially capable businessman who was able to bring the skills of strategic planning, accurate accounting and public-relations "spin" to the world of philanthropy and charitable organization. Rockefeller Junior was a vibrantly energetic agent of global-scale philanthropic action. However he and his lineage were also involved in back-room political actions (Kuja-Simha-12) which resulted in national bribery scandals (Zukra-related polarizing catalysis typical for Meena lagna). His capitalist ideology (9) also motivated incisive but harshly dehumanizing actions during labor strikes causing death and suffering to the workers. 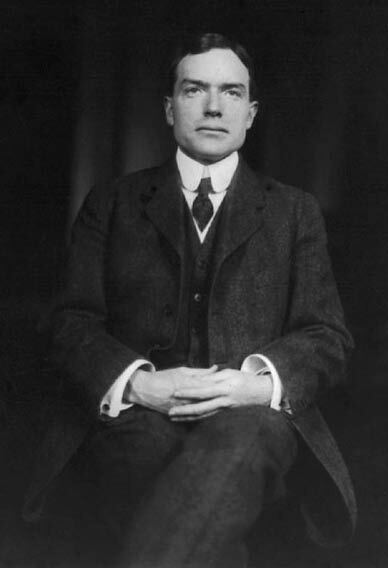 In Rockefeller's case his beliefs did drive most of his actions since Mangala occupying 9th0from-Chandra is also ruler of the dharmasthana-9. Kuja-12 drishti to 3, 6, and 7. Upon 3 and 6 = forward movement albeit criticizing style in commerce and aggressive treatment of business problems. Upon 7, definitive Kuja-12 dosha upon the first marriage. Guru in yuvatisthana can indicate a multiple marriages. Considering also his privately rather unsettled and contentious Kumbha-Kuja-12, along with the reality of Zukra in company of three additional graha, Rockefeller would have been a challenging marriage partner from the wife's perspective. Guru-Guru bhukti begins age 7. Swabhukti of the lagnesha can be an extremely influential and significant bhukti of the lifetime. When the major bhukti of the lagnesha begins at the onset of the age of reason (age 7) and the lagnesha = a kendra-placement of charitable Brihaspati, the auspice is clearly providential both for the native and for one's entire environment. Guru also controls marriages = ruler of 7th-from-Chandra-4 = sentimental, parenting, and emotionally supportive alliances. During Guru-Rahu chidra-dasha, Rockefeller earned a bachelor's degree from Brown University with strong concentration in social science and philosophy. He studied extensively in the genre of humanistic, social-transformational writing including Das Kapital 1818-1883 economics Karl Marx . As typical for the Meena lagna, Professor Bright Bhrigu is the polarizing catalysis-maker since Zukra rules 8 and 8th-from-8th suggesting challenges with relationships, contracts, and money. Indeed he endured bribery scandals and polarizing catalysis with unfair arrangements and exploitive contractual agreements. Zukra occupies the very complex 11th bhava in company of Shani-Surya-Budha, allowing Rockefeller more choices in his attempt to gain leverage during public perception of his inhumanity (during labor union violence). Born into a family of enormous material treasury and social entitlement * Rahu-2-Mesha. dhanapati-2 in 12 rarely harms the personal wealth since dhanapati-2 will occupy the gainful 11th-from-swakshetra. Rahu is directed by Kuja = dhanapati-2 + dharmesha-9 . Mangala-12 ruler of Rahu, in combination with the charitable propensities of the Uttarabhadrapada radical lagna, suggests that Rockefeller might be inclined to dissolve some portion of Rahu's treasury via dissolution into charities.